MobileFun.co.uk publishes two case designs that are claimed to be for the upcoming iPhone 5. 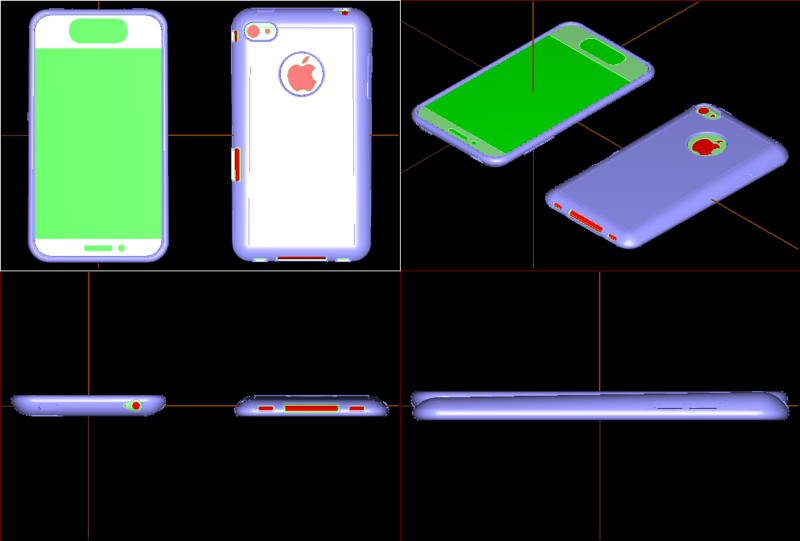 The new designs seem to show that the iPhone 5 will carry a number of changes including a larger screen, curved/sloped back, and larger home button area. the home button is doing double duty as a gesture area; this falls in line with testing we’ve seen for gestures on the iPad, and our sources say that gestures are definitely coming in a future version of iOS. The home button will likely be enlarged, but not scrapped altogether. Furthermore, we’re hearing that the screen on the device will occupy the entire (or near to it) front of the phone, meaning almost no bezel. Our source says the company is doing very “interesting things” with bonded glass technology, and has been exploring designs where the earpiece and sensors are somehow behind the screen itself, making for a device where the display is actually edge-to-edge. The images do seem to be circulating from Chinese case manufacturers. The above image was posted by a Norwegian accessory manufacturer just the other day. This is the same image that MobileFun.co.uk also received and posted. We suspect all of the images and information are coming from a common source, but we don't necessarily believe it to be true. 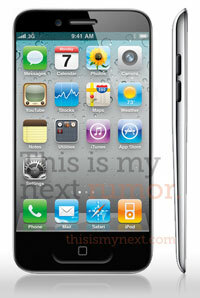 At the time of ThisIsMyNext's posting, we received a reliable tip that this is not what the iPhone 5 will look like. As well, several other credible news outlets have said that the iPhone 5 will "look largely similar to the current iPhone 4". Moral of the story is, no one knows until Steve stands up on stage and has it in his hand. Either that or it gets lost in a bar again. I hope not because the mockups are damn ugly. I actually like the design...On another note, after more than 4 years of visiting this site almost every day, I just realized that the MacRumors logo has a question mark in it...wow. I hope they don't return to a curved back. I love the symmetry of the iPhone 4 and how it lays flat. I do think an aluminum casing like MacBooks have would be really cool. A bigger screen is definitely welcome. At the end of the day though I think the iPhone 4 has a beautiful design and if they didn't change it, I wouldn't be that surprised. If the iPhone 5 looks anything like the mockup, then I'm sticking to my iPhone 4. There is 0 consensus about the new phone. Despite hearing a million rumors on it, I have no idea what new features it will have nor what it will look like. They make cases for iPod Touches too. This looks way more likely to be an iTouch. Mockups of new iPhone appear: "That's not an iPhone! It's ugly!" New iPhone gets leaked: "That can't be a new iPhone! It's ugly!" The same "New iPhone" releases: "It's... BEAUTIFUL"
The thing still has to fit easily in my pocket. Make a tighter phone with same screen dimension! Svelte and powerful.